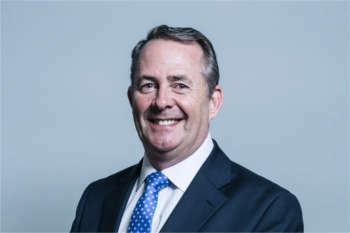 The international business secretary Dr Liam Fox is planning a new way to bring investment into Britain, and to change the way his department helps the country’s innovative SMEs to win more business around the world. At a dinner he hosted at the Consumer Electronics Show in Las Vegas, Dr Fox told SMART Highways editor Paul Hutton, who was one of a handful of British-based journalists invited, of his frustration that the country is great in supporting invention and start-ups but not as good helping these companies scale up to become major businesses. 'It means that foreign investors come in and buy our great businesses, and then have their IP,' he explained. He mentioned that much foreign investment is above the £250m mark, meaning that small companies would never be considered. However, he said, if 50 or so businesses could be grouped together, they could each benefit from around £5m cash injection, which could allow them to grow but stay largely UK-owned. Dr Fox also explained how he wants to review the way SMEs are supported in expanding overseas. 'At the moment we help companies travel to up to 12 trade shows around the world,' he said. Dr Fox also told SMART Highways about his pride in the technology produced in Britain and pointed out how British people are tech-savvy, for example being world leaders in online commerce. He also mentioned that, should Theresa May’s Brexit deal be voted down, as it subsequently was, he would campaign for a 'No Deal' Brexit and, while accepting there may be a short-term blip, was confident that international trade would grow significantly in the medium to long-term.